We’ve been space obsessed lately. Rockets, blood moons, eclipses, water on are, asteroid showers, there’s so much cool stuff happening out there! It’s making us dream of going to space! 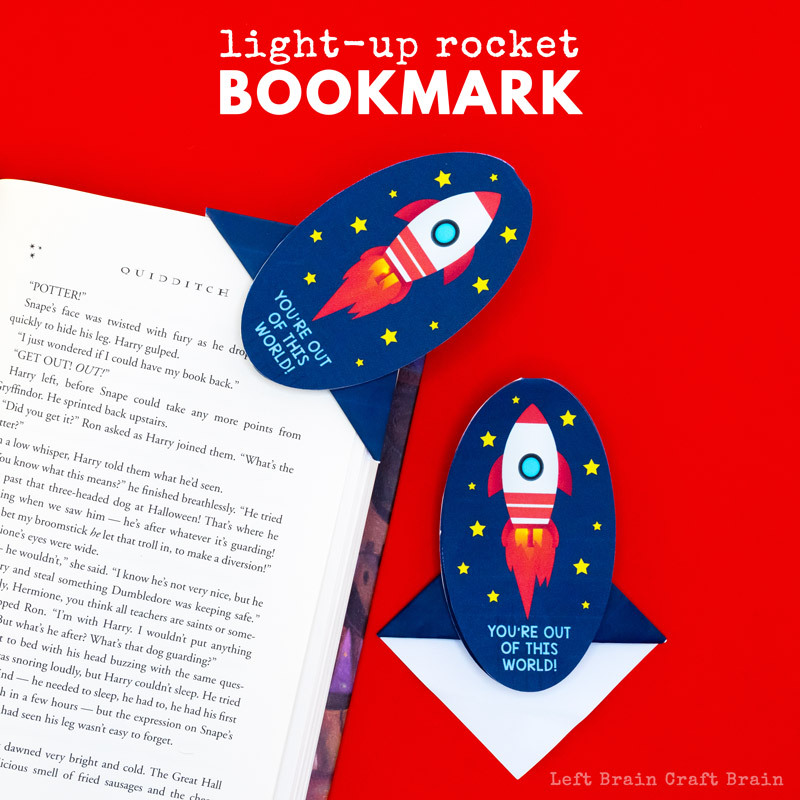 I bet you and the kids do too, so I know you will love this easy to make Light-Up Rocket Corner Bookmark. 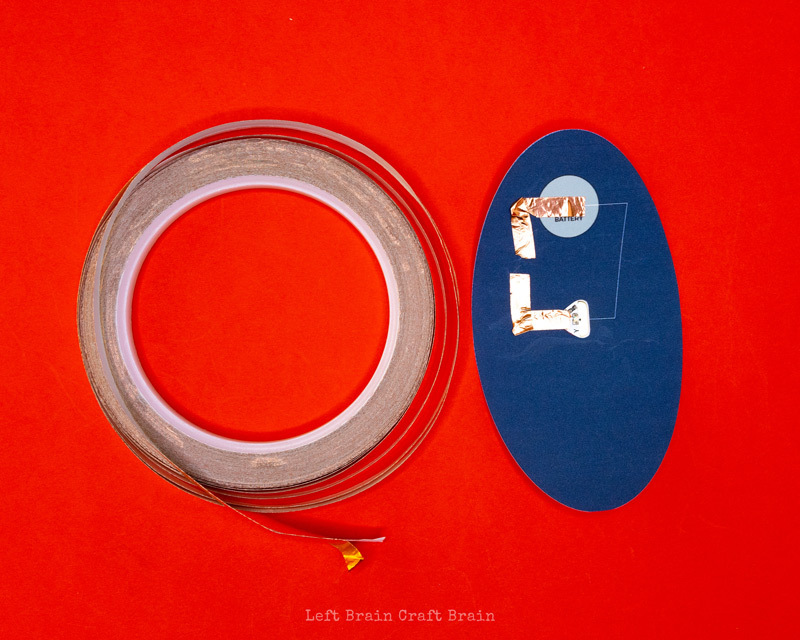 Add a cool STEM lesson to your next paper crafting session with this paper circuit bookmark. 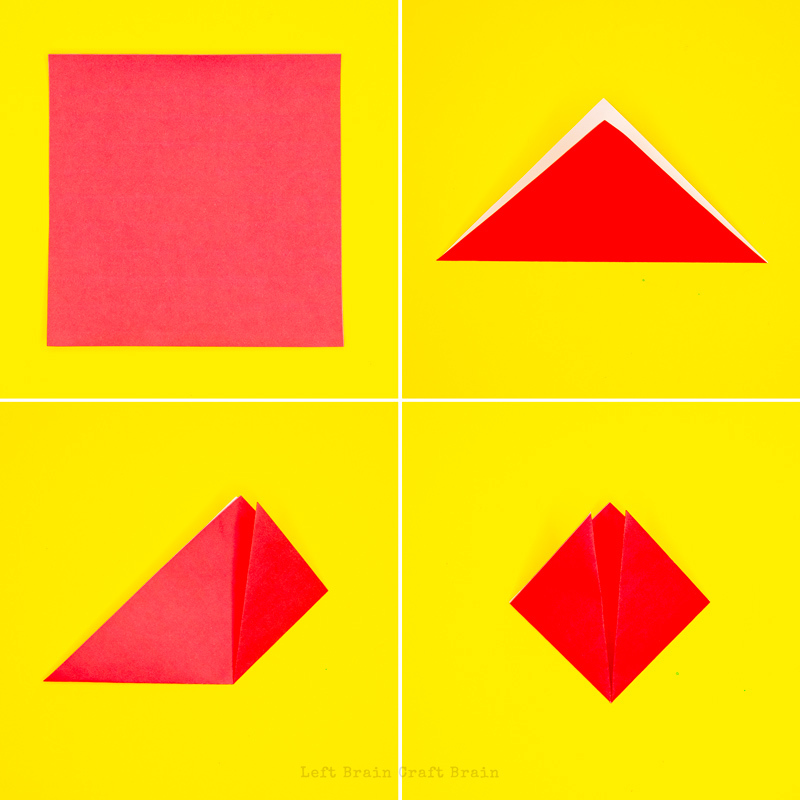 It’s a really fun way to introduce electricity and origami to your kids and students. This card requires a few specialty items, but once you add light to your paper crafting, you totally love it! You’ll notice I’m using some super cool LED stickers that make this project easier and sleek so the bookmark can slide right into a book. 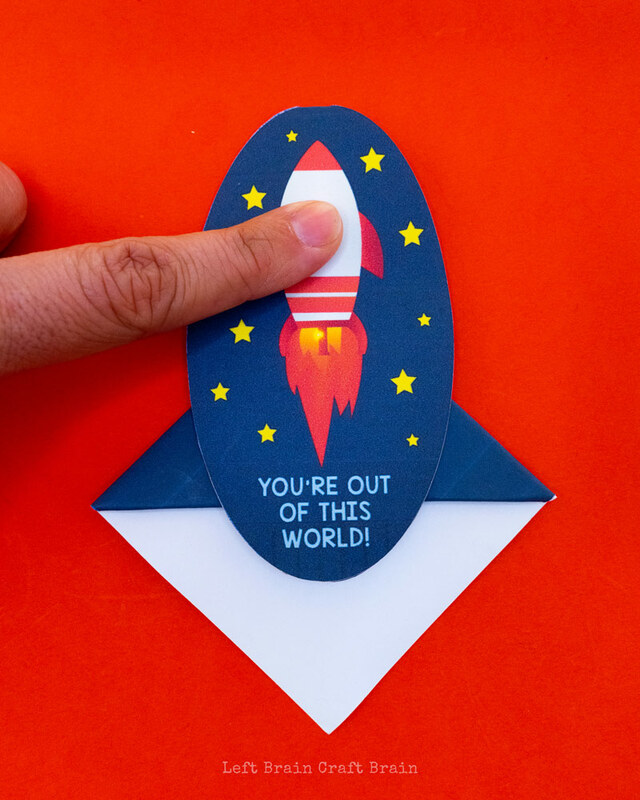 Rocket corner bookmark template You can download it here. For this I’m going to showcase the corner bookmark I folded for our Light-Up Valentine Lightbulb Corner Bookmark. 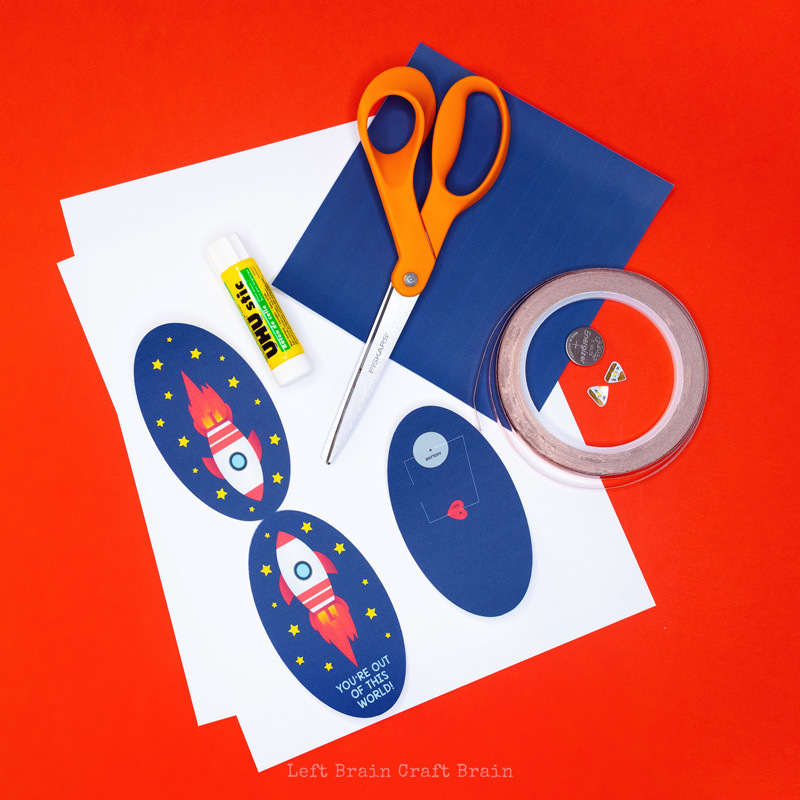 First download the printable template and cut out along the outside of the rocket parts and the blue square. 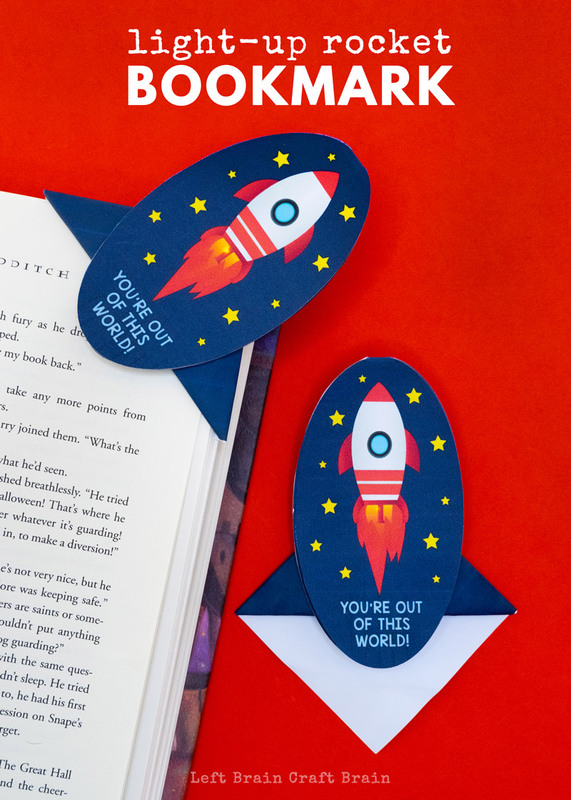 If you don’t have a printer on hand, you can always use red paper to make the bookmark and draw the rocket parts. 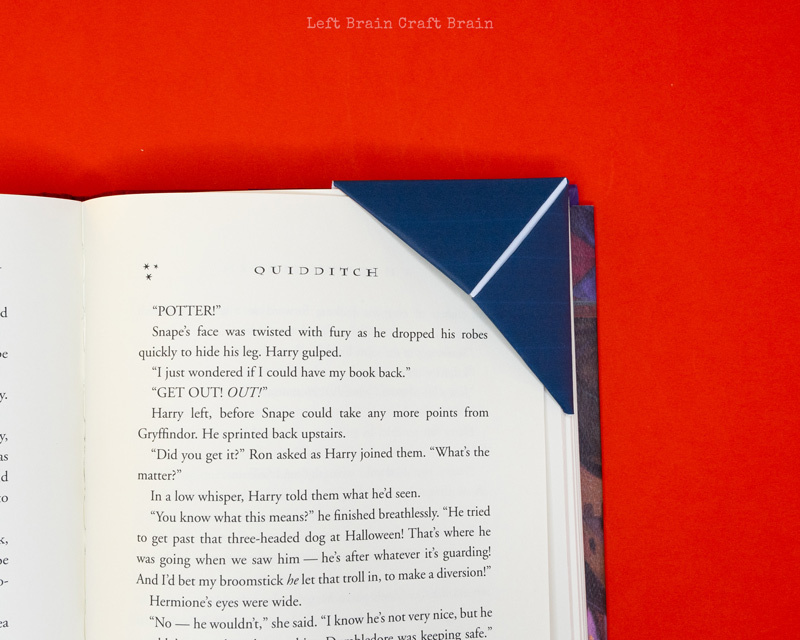 Next you’re going to make a traditional origami corner bookmark for the base. 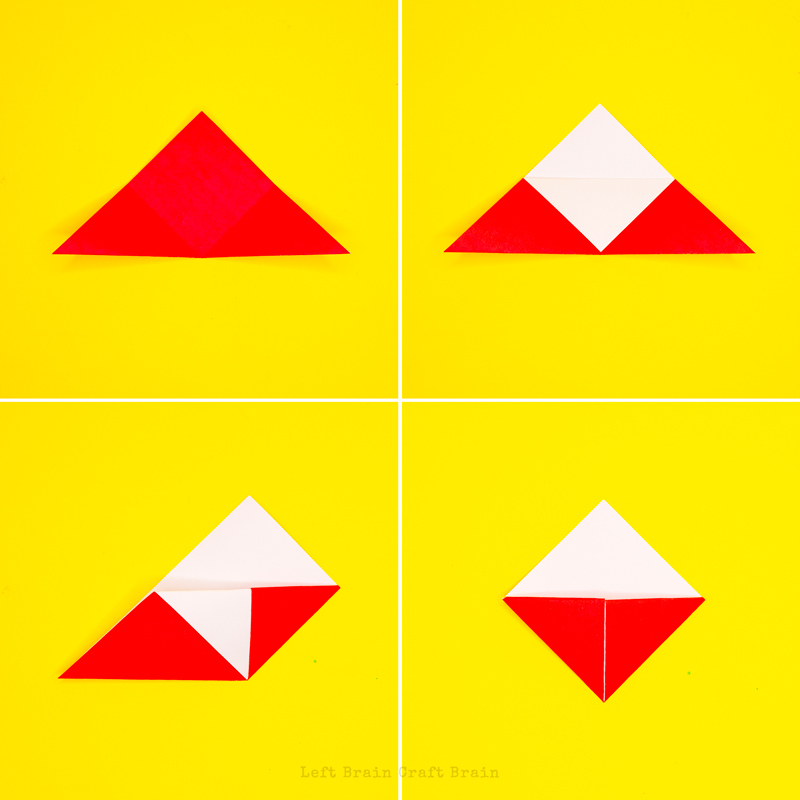 You can follow along with the pictures or grab the instructions HERE on Red Ted Art’s super easy tutorial. Now it’s time to build your circuit. 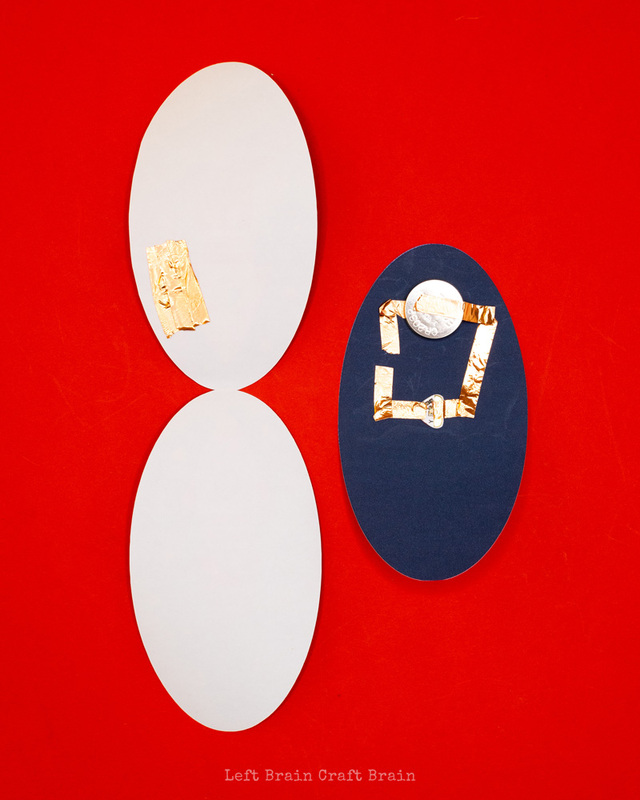 Grab the blue oval that has the circuit lines on it, the copper tape, and the sticker LED. Tape along the circuit line between the LED sticker and the grey battery circle with copper tape leaving a gap where there is a gap in the circuit line. Place battery on top of grey circle, negative terminal side down. Copper tape from the positive side of the LED sticker to the top of the battery. Secure battery to the oval card with clear tape. Next, grab the double Val part of the card and flip over. On the back of the side with the “You’re Out of this World” saying, place strips of copper tape as shown in the image below. 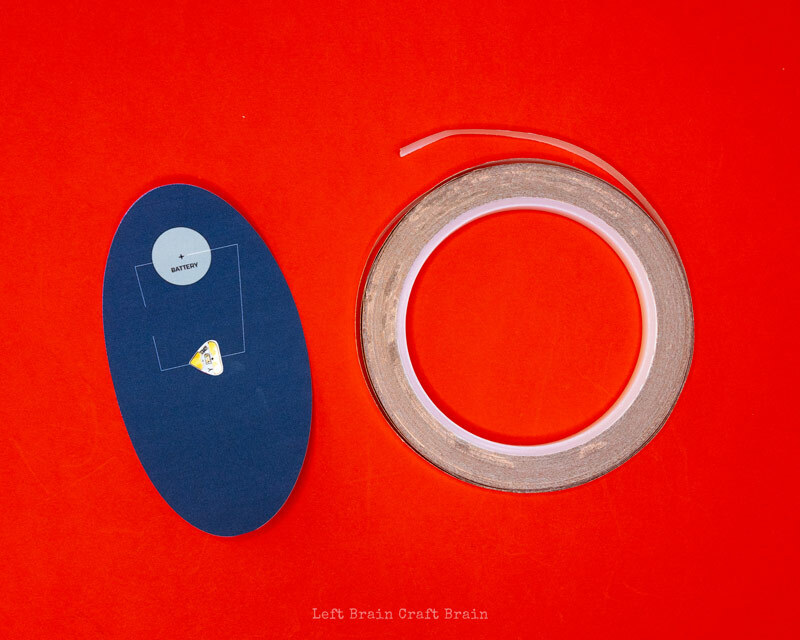 Grab the double oval piece and attach the circuit piece to the inside of the oval without the writing with a glue stick or double-sided tape. 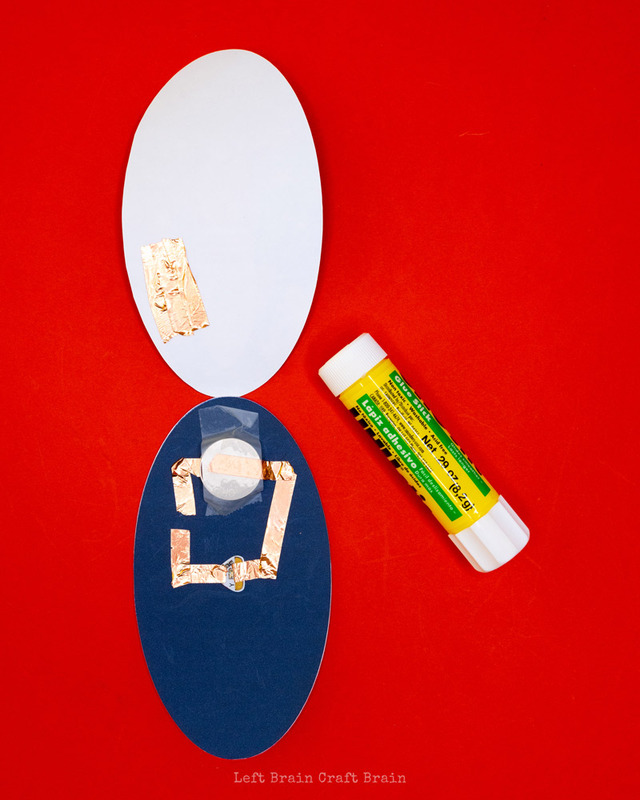 Fold over the top oval over the bottom two ovals and place some glue or tape in the bottom area of the paper. Do not glue over the copper tape as this can weaken the circuit. Glue or tape completed rocket to the folded bookmark as shown below. And then light it up by pressing on the top of the rocket. 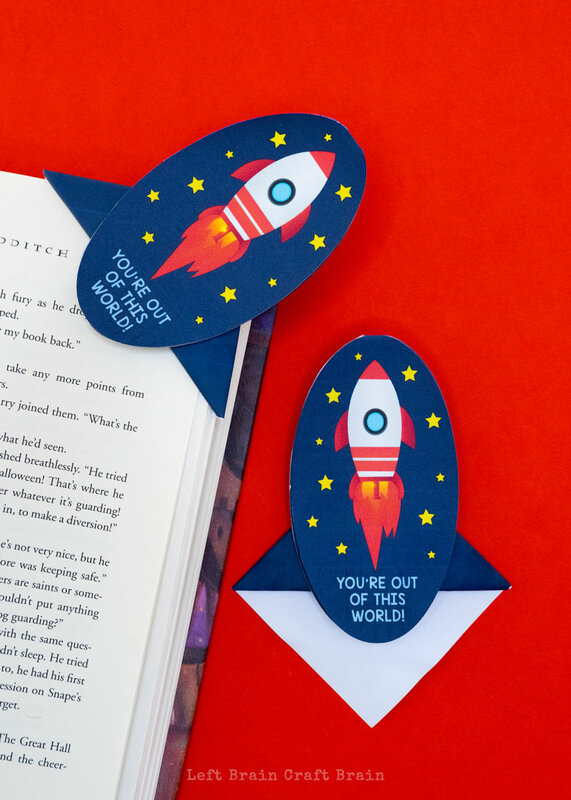 Doesn’t this bookmark look cute on this space book? It’s one of my absolute faves. 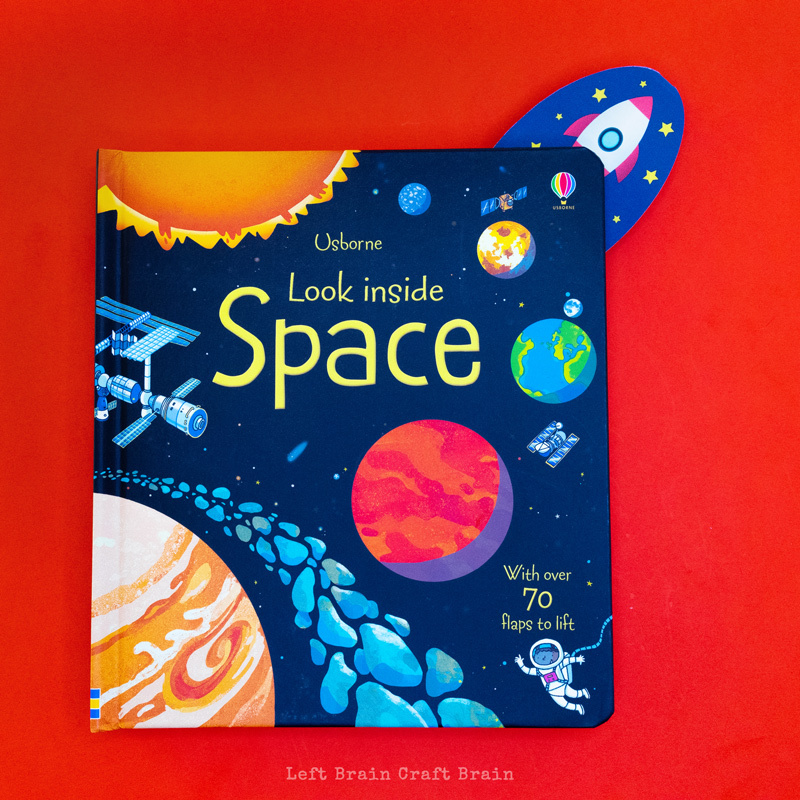 It’s a Lift the Flap Look Inside Space Book that will keep kids busy! 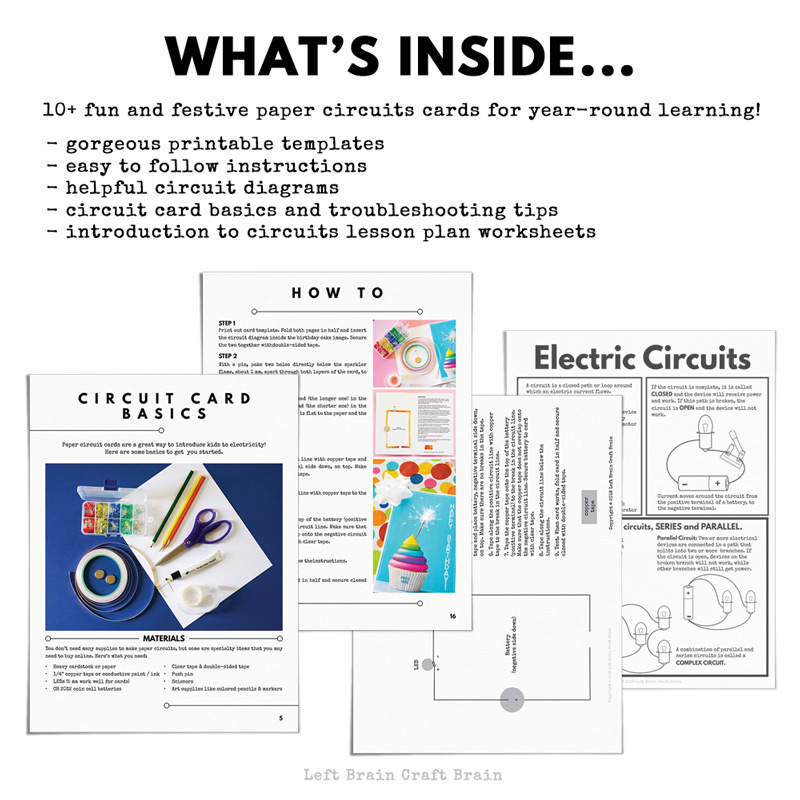 More Paper Circuits! More Printable Valentines! More Space! I literally can’t get enough of fun printables for Valentine’s Day. Especially ones that incorporate STEM & STEAM. So I whipped up another light-up corner bookmark that’s out of this world. 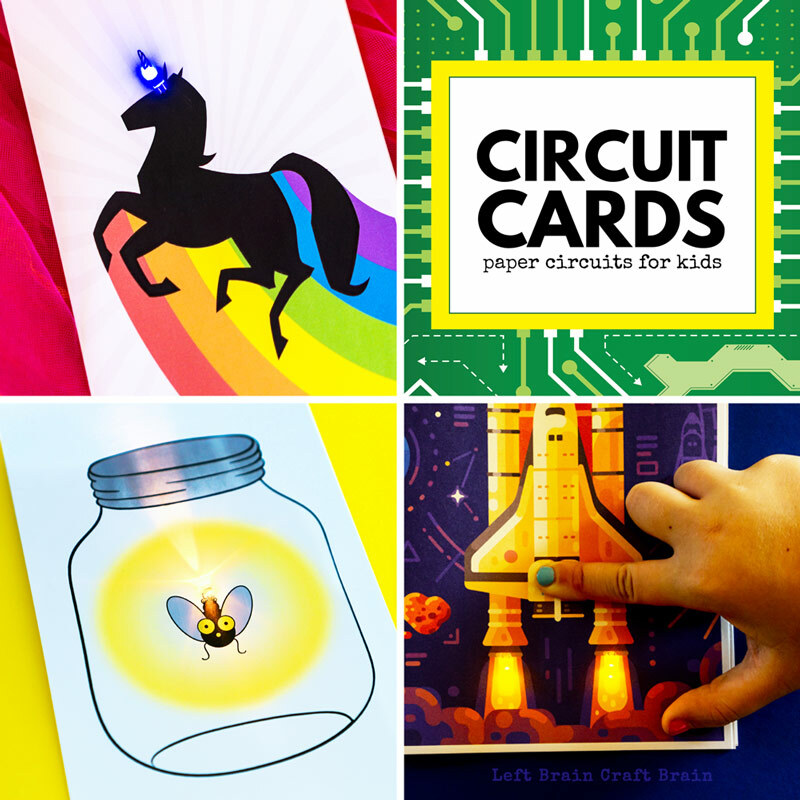 And a bunch of other fun printables for your science and engineering loving kids. 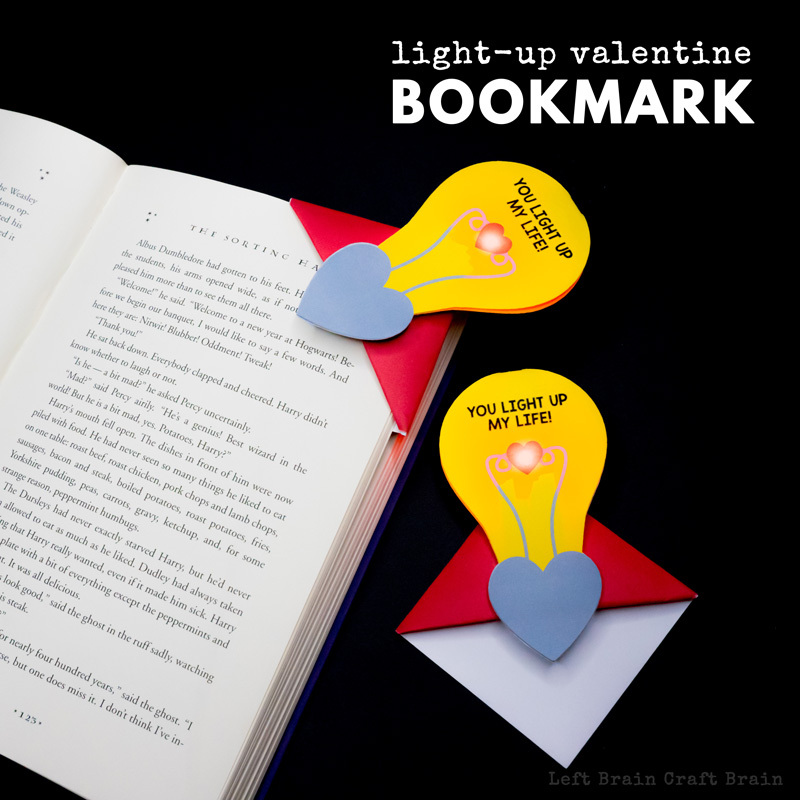 Hop over HERE to grab this Light Bulb Valentine Corner Bookmark. 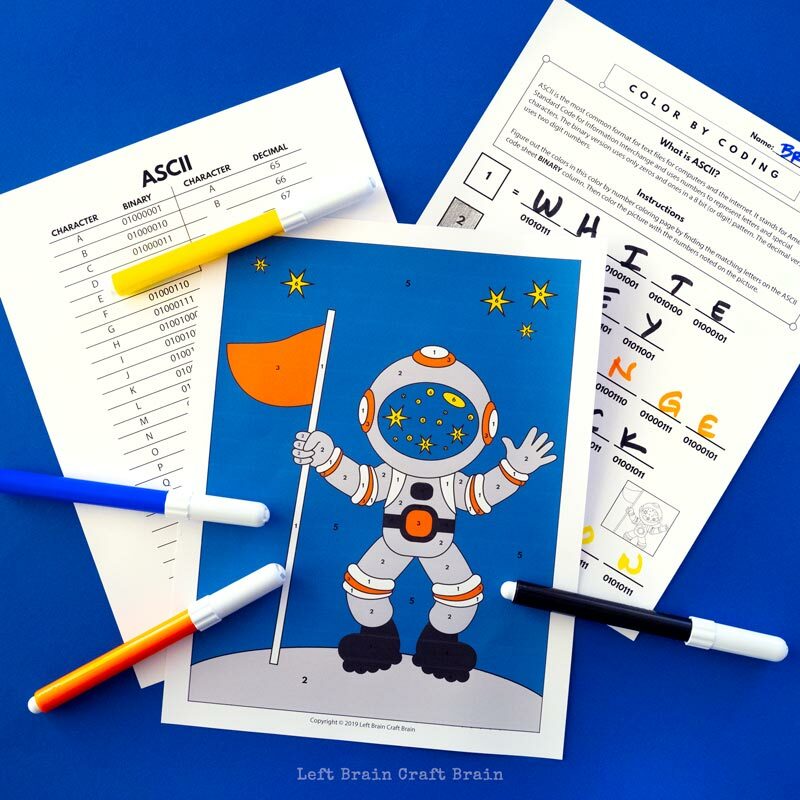 Kick up your next moon learning session with some coding in a fun astronaut color by number coloring page that incorporate ASCII binary code into the mix.